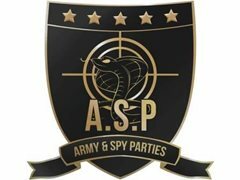 Since 2002, Army & Spy Parties (sister company to Superheroes Inc.) have performed at more than 20,000 events, entertaining for big corporate events, the rich and famous, and thousands of children in backyards, parks and scout halls across Sydney. We make events fun, simple and easy with our vast experience and expertise. We are looking for athletic, enthusiastic, entertaining, and confident people to join our team of centertainers. • Your role is an Spy/Army Commando! You'll be schooling kids in essential dart-tag military skills, preparing them to face the enemy and guiding them through a final battle, complete with fierce balloon swords and NERF guns. • Follow our party format - adding your own wit, charm and physical prowess! • No formal experience necessary although may suit Actor, Drama or Education students or generally outgoing and fun loving people. • Training is provided, however skills with balloon animals and face painting a plus. Hours offered: Weekends mostly, generally 3-6hrs per weekend. Must be available Saturday and Sunday between 10am-4pm. Location: Office based in the Eastern Suburbs. However, we work Sydney wide. Rate of pay: Rates range btwn $80-$100 for the first hour, then $60 for every subsequent hour. Higher rates offered to those with more experience. How to apply: Send through some info about yourself (and/or CV) letter telling us why you are fantastic, along with a current head-shot. Paid : $80 - $100 per hour (depending on experience).